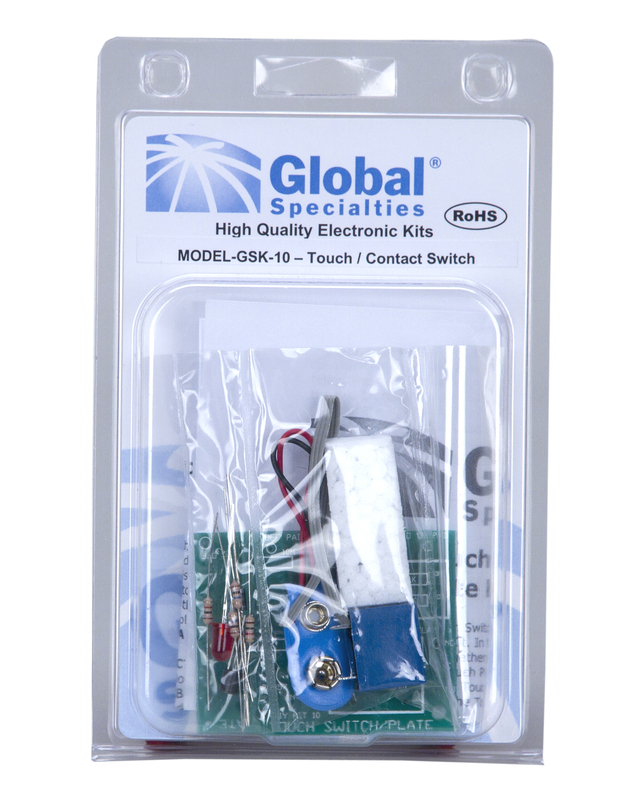 The GSK-10 is a kit which incorporates a touch switch and a touch plate in the same package. 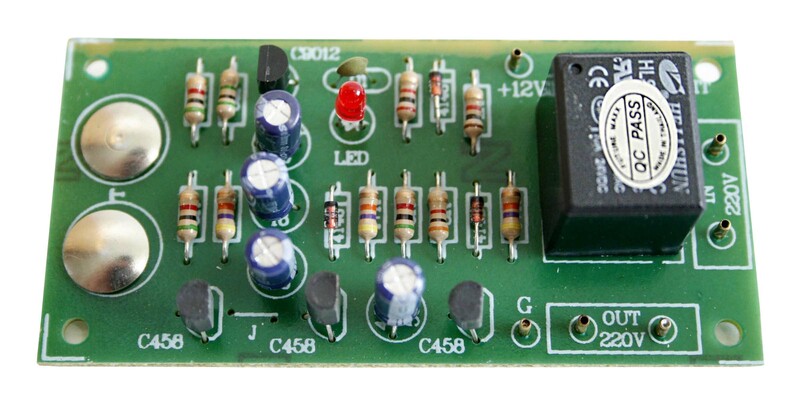 The touch switch will activate when two leads are shorted together by the touch of a finger. The touch plate will activate merely by touching the plate. 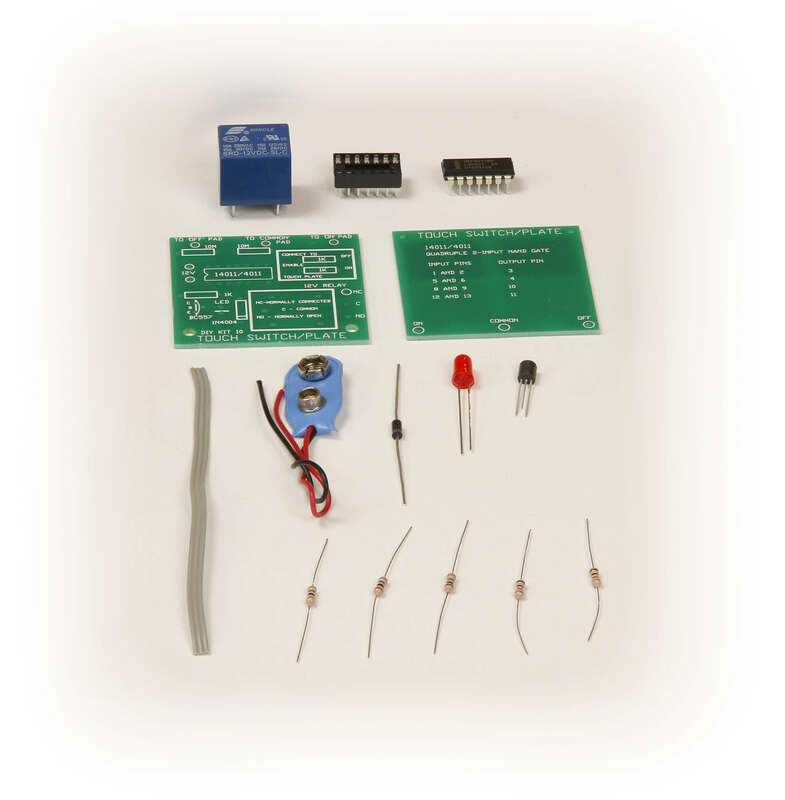 AC or DC voltage must be applied to the kit for full operation. The main part of the circuit are the two NAND gates which are connected as a flip-flop. Pins 9 and 13 are the ON and OFF contacts. The two gates are connected to the positive rail by the two 10M resistors. Shorting one of the gates with the ground rail by touching it (this is equivalent to connecting about 50K between the gate and ground) FLIPs the output to that state. Shorting out the other contact FLOPs it back.